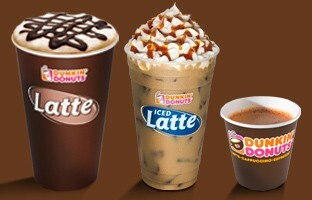 Dunkin’ Donuts exclusively sells Fair Trade Certified™ Espresso beverages. In 2004, Dunkin’ Donuts partnered with Fair Trade USA, the only independent certifier of Fair Trade products in the U.S., to purchase Fair Trade Certified™ coffee that supports the economic and environmental welfare programs of coffee-farming communities. Since then, we have purchased over 24 million pounds of Fair Trade Certified™ coffee, thus providing additional income to the farmers who grow and harvest it. Dunkin’ Donuts works to aid the Farmers who we purchase our Fair Trade Certified™ coffee beans from. By establishing a premium on top of the market price and setting a Fair Trade minimum price, farmers can count on income stability that allows them to invest in sustainable farming practices and socio-economic programs. The profits garnered from Fair Trade premiums quantifies the ability for farming communities to fund business enhancements, quality improvements, infrastructure construction, community projects and environmental sustainability initiatives; all depending on the unique need of the community. Our Fair Trade Certified™ Espresso Beverages are freshly ground and freshly brewed for you when you order. From the frothy deliciousness of our freshly ground, freshly brewed Cappuccino, to the rich flavor of our hot and iced Lattes, Dunkin’ Donuts’ Espresso beverages offer our guests the perfect all day, every day pick-me-up. Made just the way you like it, guests can enjoy a regular Cappuccino or Latte, or add one of our nine great flavors, like Caramel, French Vanilla, or Mocha. So the next time you order an Espresso beverage at your local Dunkin’ Donuts restaurant, give yourself a pat on the back for supporting the Fair Trade system and ensuring economic stability for the coffee farmers who bring us the great tasting Fair Trade Certified™ coffee beans! Happy World Fair Trade Day!